Because now I know you. That’s how you know you’re moving on. When I wrote about a month ago about getting a preview of the upcoming Lori McKenna album, I mentioned that it was setting the bar high for the Christmas season. Heather took that challenge, and came back with a gift that was a definite Christmas highlight for me — that perfect combination of something that’s a great item in and of itself, but that also involved a lot of thought and time and effort and showed that she knows me and cares. 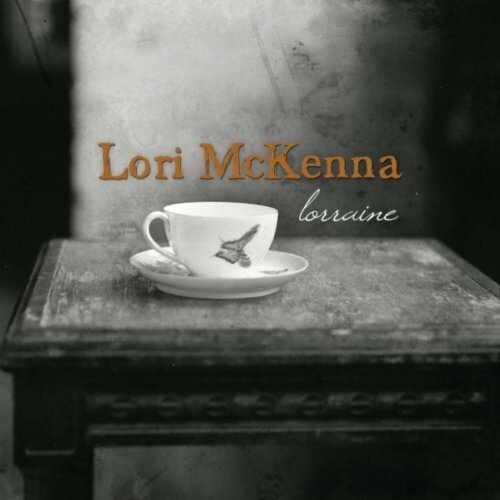 I’m going to have a review soon of the forthcoming Lori McKenna album, Lorraine. It’ll be after this weekend, after I get a chance to really marinate in the album. Which, in turn, will be after I stop playing Rocket Science repeatedly. It’s not necessarily that Rocket Science is the best song on the album; it’s just that’s where space-geek me, intrigued by the title, started listening to the album. And I’m still too enthralled with the beauty of that first song to move on. For over three years, since Lori’s last album, Unglamorous, came out, there’s been a gradual trickle of new songs from her; one or two or three at a time. Slowly enough that I could afford to spend days savoring each one. It’s been a thrill each time I’ve discovered there was a new Lori McKenna song I hadn’t heard before to enjoy. So, yeah, last night, finally being able to hear the 10 new Lori songs on Lorraine that I’d never heard before, well, I was just giddy. I’d be listening to songs that are like a straight injection of raw hurt shot right into the heart, and yet I’m gleeful over these new treasures. And, to be sure, even more gleeful because I’m getting to hear these new songs almost two months early, getting to hear them before most everyone else. And … getting to hear them early because Lori McKenna wanted me to. Like, not in a she-wanted-people-not-to-have-to-wait sense, but like in a Lori McKenna said to share the album with David Hitt sense. Um, that’s kinda awesome. It’s funny what can reduce me to pure fanboy squeee, but that e-mail yesterday did. I wrote earlier this week about how I was looking forward to listening to the album and couldn’t wait. Turns out Lori read what I wrote, liked the stuff I’ve written about her on here, and asked her publicist to share the album with me. I left work as early as I could so I would have time to download it that night, and have been listening to nothing but that since. It’s hard to imagine a musician that would mean more coming from. There are plenty of musicians who write music I like, who may be as talented, but Lori is the one whose talent I most envy, the one I wish I could be like. Her music is emotion. She doesn’t write about emotion, she creates it. She captures it and conjures it. She understands the way hearts work in an incredibly real way, and recreates the secret inner workings of the heart in words and notes so that they can be moved from one heart to another. You don’t so much listen to her music as feel it. I wish I had her intuitive grasp of why and how we hurt and love and lose and strive. I wish I had her command of words to convey that. Add to that the fact that all writers have a “voice” in their writing — the character and personality that comes through in their writing. Lori is blessed that her incredibly distinctive singing voice is exactly the auditory equivalent of her writing voice. She sings with the same raw edge with which she writes. OK, this is really starting to turn into the review. I’ll stop here until I’ve listened to the album more. Have I mentioned squeeeee? Yeah, yesterday set the bar for the Christmas season pretty high. I’m a happy man. A heart-ripped-out, soul-wrenched happy man. Thank you, Lori! It was sort of early Christmas present, but one that I have to wait two months to fully receive. For a moment there last week, I was prematurely excited. I saw a tweet about Amazon in Europe listing Lori McKenna’s new album, Lorraine, and went to see whether it was also listed in the U.S. version. And, indeed, the Amazon app on my iPhone showed me that the mp3 download version of the album was available for $8.99. I rushed to a computer as quickly as I could, only to discover that while the downloads are listed, they aren’t, technically, available until January 25. But it was exciting seeing the track listing. I’ve been a little “worried” about it for a while. If you’re not familiar with my long-standing love of Lori McKenna, here’s an old post I wrote that sort of summarizes things. Lori’s last album, the brilliant Unglamorous, came out just over three years ago, and since then, I’ve collected a good number of unreleased tracks that have leaked out in a variety of places, and I was beginning to worry that I was going to basically have Lorraine before it was ever released. Looking at the track list, however, there are only three songs that I already have — The Luxury of Knowing, If He Tried and Sweet Disposition. (I was curious as to whether Luxury of Knowing would be included after it was included on the new Keith Urban album as a Target exclusive track.) Which means that there are 10 new Lori McKenna songs on the album that I’ve never heard before. This makes me a happy man. In a weird way, seeing which songs weren’t on the album made me happy as well — I’m glad knowing that paying attention over the last three years means that I’m not missing out on some incredible songs that aren’t included. At one point way back when, Lori said that “Make Every Word Hurt” might be the title track for the album; and it would have merited it. As it is, it’s not included. And it amazes me that Lori has such a great notebook that something like “Like No One’s Ever Hurt You At All” could be a lost gem. For now, though, there’s that two month wait. I read somewhere that she’s planning a local release of the album in December before the nationwide January release, so now it’s just a matter of figuring out how to track down a copy. After all, there clearly could be no purpose other than teasing me personally to announce that there’s a Lori McKenna song I haven’t heard named named Rocket Science. It’s finally breaking me down. To my credit, I feel like I held on as long as I could. I’d teach my heart to lie if I thought that it would. And no one knows where all the pieces are. “Do you love me?” I say. “Sure,” he replies. If he’d run to catch me in his arms at the end of the day. This post is one of a series I’m writing as part of my participation as an official blogger for COUNTRY Financial/Cotton States’ Road Trips and Guitar Picks tour program, covering Jewel’s June 13 concert in Huntsville, where I had backstage access. The rest of my pre-concert Jewel blogging can be read here. Contrary to the promise of opening act Radney Foster, Jewel did not, in fact, rock. I wasn’t really expecting her to, despite the potential for rocking raised by the last time I saw her at Lilith Fair 13 years ago. Given that this concert was billed as an intimate, acoustic evening with Jewel, I wasn’t really expecting rocking. Nor was I expecting how incredibly the evening showcased Jewel both as a singer and a songwriter. The evening started off on a rather cool note. 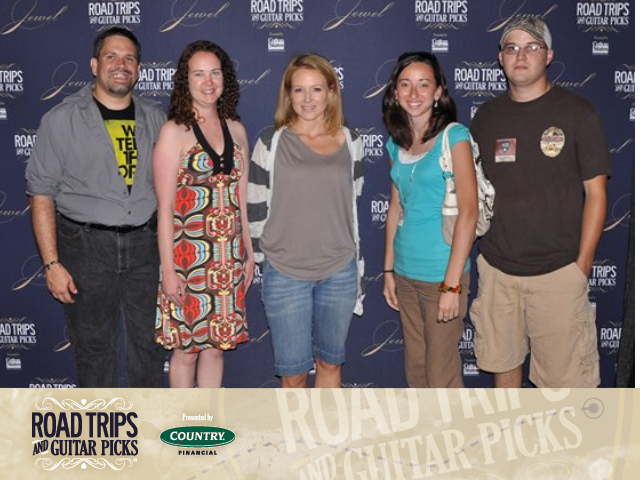 Having been selected as official blogger for COUNTRY Financial/Cotton States’ Road Trips and Guitar Picks tour program, a good friend and I had the opportunity to go backstage before the show, have our picture made with Jewel and be part of an exclusive session. The picture making part, to be honest, didn’t set the bar very high. Jewel was in a curtained-off booth, so you couldn’t see her until it was your turn to have your picture made. Everyone went in in groups of four, no more, no less, stood next to Jewel, who didn’t move, had the picture made, no autographs, no conversation, and then filed back out. Jewel did make eye contact, smile and speak briefly on our way out, but that was it. Once that obligatory part was done, however, the Jewel who came into the backstage room with us a few minutes later was friendly and personable. During a question and answer session, she joked with long-time fans and gave great responses to others. I hadn’t planned on asking anything, but couldn’t resist the opportunity. I’ve always been fascinated by the relationship that artists have with their material. Once you have a hit song, you’re expected to play it forever. In Jewel’s case, she wrote “Who Will Save Your Soul” twenty years ago. There are things I wrote two years ago that I no longer identify with in the same way, and, frankly, some I’m just embarrassed by. I can’t imagine having to put my heart into things I wrote as a teenager. I asked her she related to songs differently as she was at different places in life. Jewel didn’t answer the question the way I was thinking, in terms of continuing to sing old songs. Instead, she took it in a different direction, explaining that anytime she releases an album, she goes back through her collection of unreleased songs to see if there is anything she feels differently about or has new ideas on. She said that it’s funny to see things that she has written that she herself understands in a different way than she did when she wrote them. I talked about how I’ve experienced that with Paul Simon songs over the years, identifying more with the emotion in songs as I experience more in life. It was neat hearing Jewel talk about having that same experience with her own material, and, as a writer, I can completely understand how that could happen. After the Q&A session, Jewel performed an unreleased song for us that I really hope she someday puts on an album. For the record, even in those close quarters and laid-back setting, she has an amazing voice. The chorus went “there’s a hole in my heart in the shape of you,” which I’m including in this blog entry mainly so that I can occasionally check and see if the song has been released yet. Jewel in concert. Photo courtesy Kristy Hill. And then, it was time for the actual concert. The opening act, as I mentioned, was Radney Foster. I immediately bought one of his songs, “A Little Revival,” from his new album off of iTunes, as well as Keith Urban’s cover of Foster’s song, “I’m In.” Good stuff. Jewel’s set was fantastic. The stripped-down, acoustic setting really showed off the power of her voice, and she interspersed between the songs bits of her life story, which put the songs in context. Fascinating stuff for anyone, I would imagine, but for me, it was a really cool peek behind the curtain at her process as a songwriter. 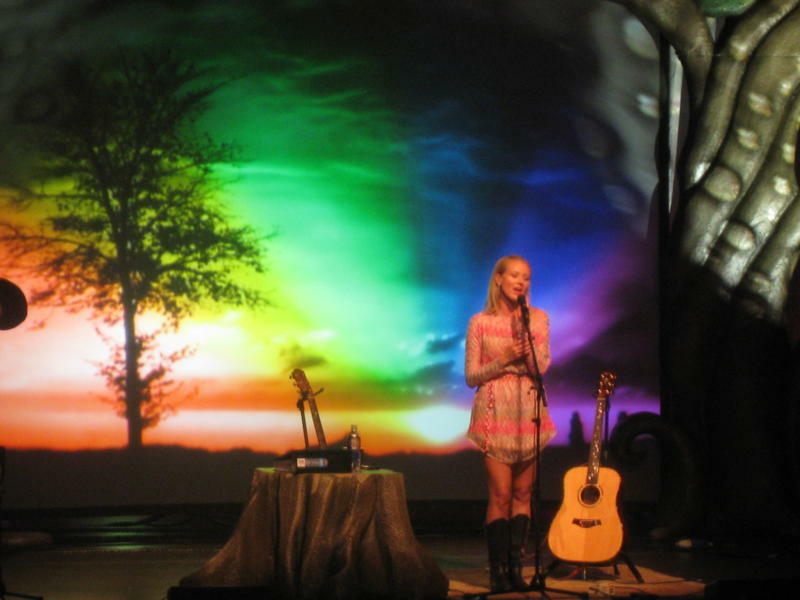 Jewel has always had fun showing off a bit; certainly that was evident in her encore performance in which she came back on stage to yodel for an enthralled audience — “Want me to do it faster?” But the crowd really got into it when she showed off a bit as a songwriter by singing her “Huntsville Song,” a song she had written before the concert about Huntsville. I’m sure she has to have a template that she uses and fills in local details, but, even so, wow! Great stuff! Of course, the Huntsville Song was both one of the high points and low points of the concert for me. Sure, it was great, but I had a bet with my friend Heather, who also went to the concert, as to whether she would play her version of Sweet Home Alabama, which she recorded for the soundtrack of the movie by the same name. The smart money seemed to be that she would, so I agreed to a bet that the loser would bake cobbler and bring it to work for the winner, a culinary feat neither of us had attempted before. 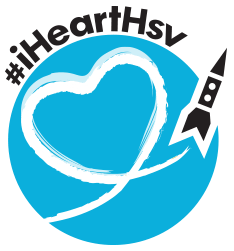 When I heard the Huntsville Song, I figured the odds she would do both it and Sweet Home were pretty low, and I was right. So, I’m going to have to figure out how to fix cobbler. Given my skills in the kitchen, I imagine it will be a rather pyrrhic victory for Heather. Given Jewel’s recent foray into country music, I was a little surprised that the entire concert was performed without a hint of twang; I never would have guessed that she’s had a genre change since I’d last seen her. The set list was a great mix of new songs, unfamiliar songs and old favorites. All in all, it was a great evening — an awesome concert, a unique opportunity and an incredible experience!